What are People Doing on Their Mobile Phones? It has been a while but I thought it would be great to update some stats as per a few of my blog readers request. 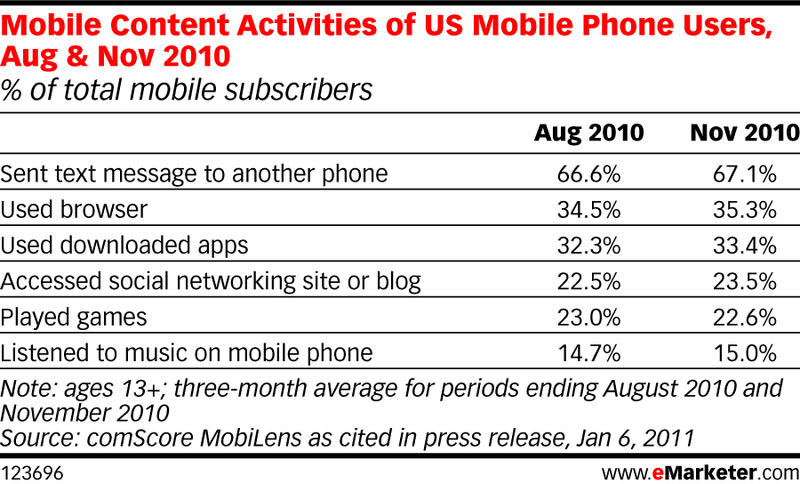 First one up (as per emarketer.com) is Mobile Content Activities of US Mobile phone users.